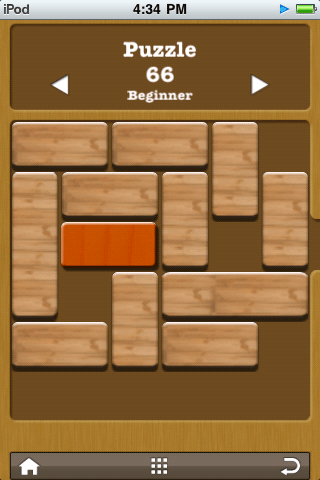 UnBlock Me is a simple iPhone/iPod Touch puzzle game. The goal of this game is that you have to get the red block out of board by sliding the other wooden blocks vertically and horizonally. It is simple but addictive one. You can try UnBlock Me lite version which has 200 levels and 1,000 levels for full version is just about $0.99. Download FREE and Paid version form iTunes Store. Flickr did not tell that they have a new service to post your photos to Twitter from Flickr directly. If you have both Flickr and Twitter account, just login to Flickr and follow this link (http://www.flickr.com/account/blogs/add/twitter) and allow Flickr service in your Twitter account. Then Flickr will give you the email address to you that you can sent to Twitter. Attach the photo in your email and sent to the email address provided by Flickr. This service is cool if you want to crop your face from group photo when you upload to social networking sites. Some social networking site like Facebook offers this feature but most of them don’t. The service is called Mypictr. 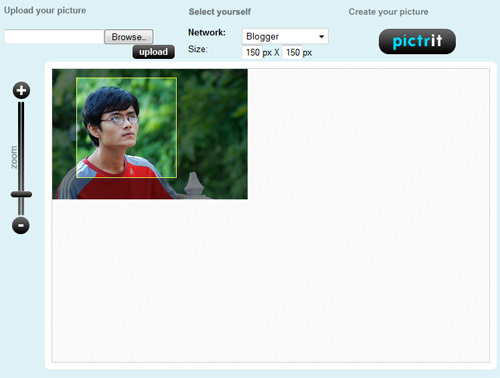 Mypictr allows you to upload your photos let you crop and zoom on the fly and create new profile picture for you. It offers predefined size for social networking site like Facebook, Friendster as well as you can customize height and width of your photo. 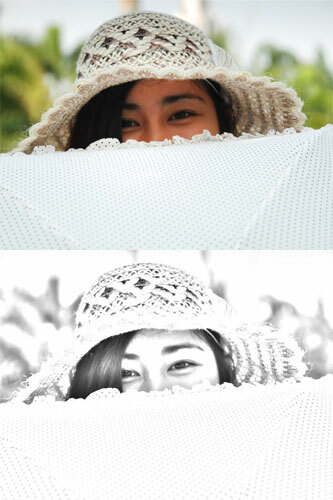 Try it if you don’t have Photoshop or Image editing tools. SimilarSites is a search engine helps you find web sites which are relevant to the URL you searched on Similarsites. It has Browser Add-ons for both Firefox and Internet Explorer to provide easy access to relevant web sites and content. My brother wrote a very simple Photoshop tutorial that can turn your photo into pencil drawing using Photoshop. Click for more detail.